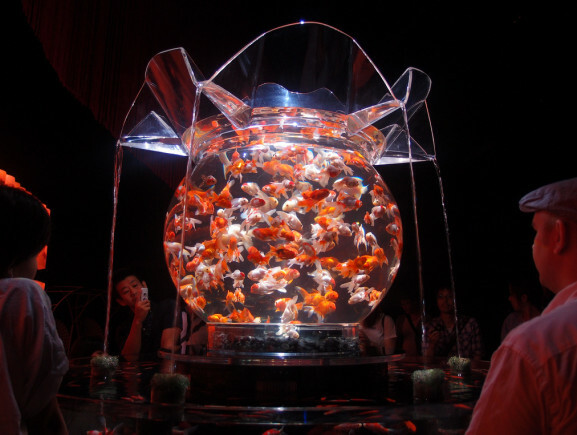 Along with wind chimes, fireflies, mosquito-repellent and shaved ice, goldfish are one of the most prominent symbols of summer in Japan. 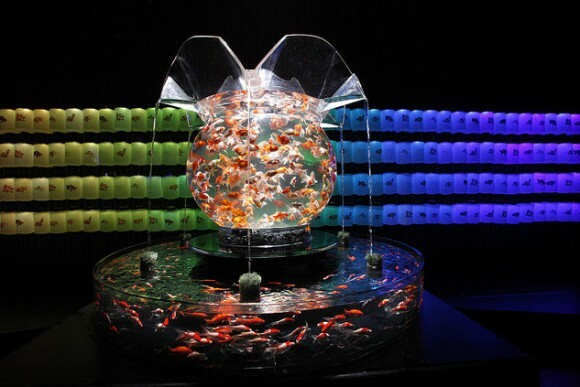 A game involving paper nets and drugged-up goldfish – the objective being to scoop them into clear-plastic bags so you can watch them die – is a staple at summer festivals across the country. 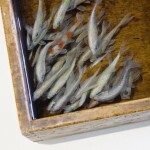 However, if placed in an actual tank, rather than a plastic coffin, watching the little fishies bob up and down is admittedly soothing, and is a great way to take your mind off the sweltering heat. 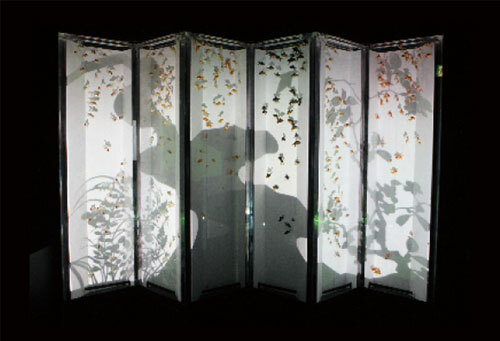 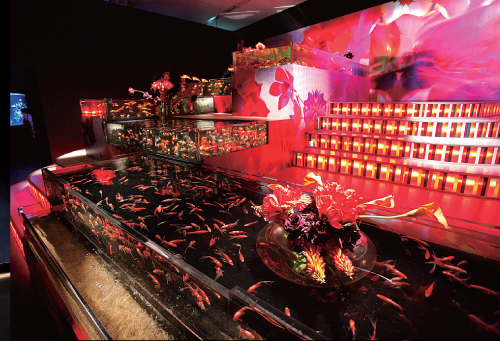 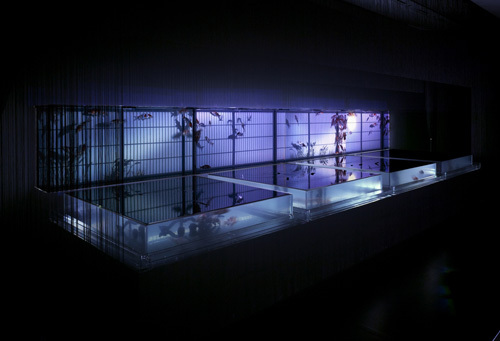 So instead of engaging in the cruel pastime, head to Nihonbashi Mitsui Hall where highly-stylized aquariums – the work of self-proclaimed art aquarium producer Hidetomo kimura – are sure to satisfy your fishy fancy. 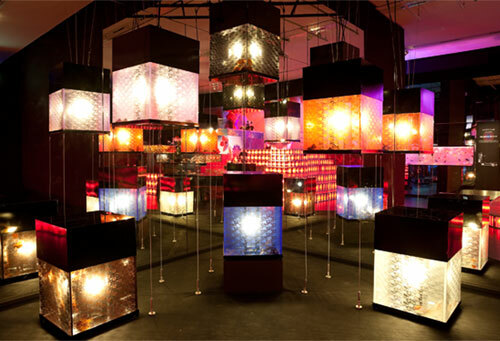 Oh, and did I mention the space was air-conditioned? 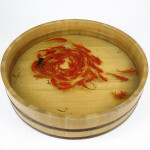 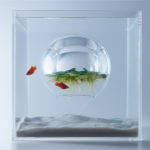 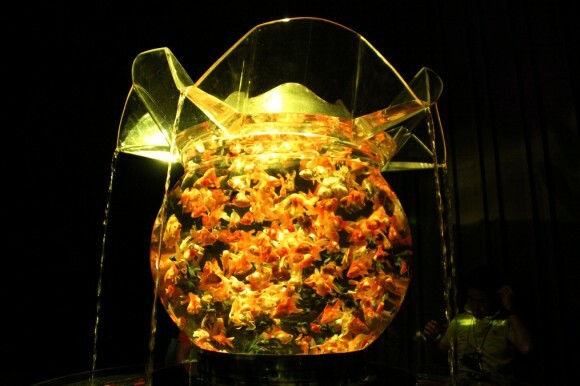 The show-stopper is undoubtedly the oversized goldfish bowl “Oiran,” filled with 1000 goldfish. 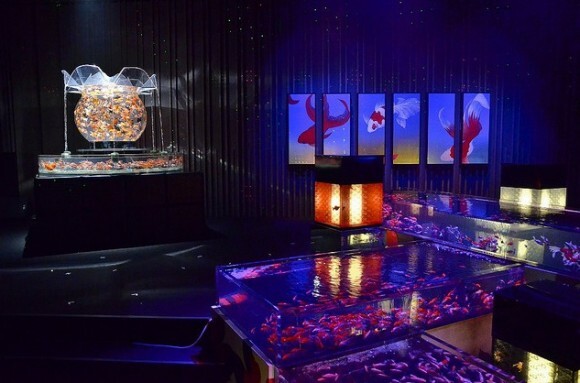 But flanking it are other unique aquariums like the 8-meter long “Four Seasons Aquarium,” the rectangular Kaleidoscope aquarium “Kaleidorium” and the screen (byoubu) aquarium “Byoburium.” General admission is 1000 yen and the exhibition continues through September 24th. If goldfish is your thing, I think you’ll like Riusuke Fukahori’s goldfish. 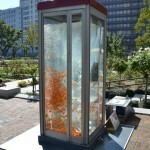 That is truly amazing! 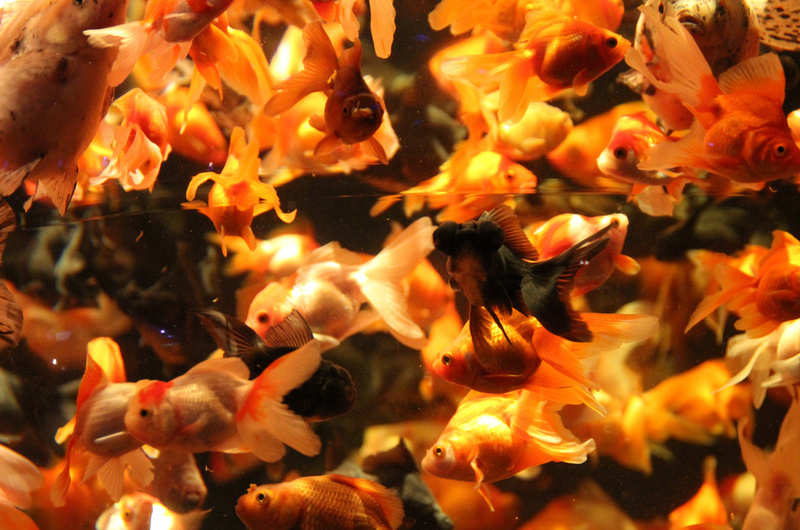 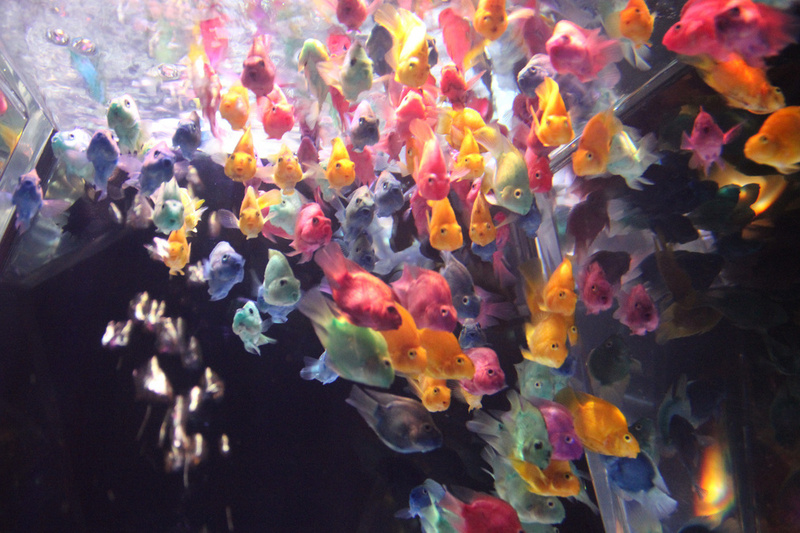 Who knew that goldfish (as I remember them from my childhood) could create glorious art!